The largest and only permanently populated of Svalbard’s islands, Spitsbergen is where all the activity and life happens. The beating heart of Spitsbergen itself is the town of Longyearbyen, the de facto ‘capital’ and the base for all tourism here. One of the Arctic Regions ‘wildlife hotspots’, alongside around 3,000 polar bears and the indigenous Svalbard reindeer, during the summer months arctic fox, walrus, seals and whales can be seen. Activity peaks during high summer when the island plays host to a coterie of migratory wildlife, including millions of birds who come to breed on Svalbard’s famous bird cliffs. Solfestuka is an important date in the Svalbard early spring calendar when the return of the sun after the dark winter is celebrated. The whole town gathers on the steps of the old hospital at 12:15 to await the first rays peeping over the mountains. Svalbard’s landscape is marked by its variety and the stark contrast between the different areas of the archipelago. Spitsbergen’s west coast has dramatic fjords and mountains rearing to over 1,000m/ 3,280 ft rising from sea level, while other parts of Svalbard tend to be more wide and open. 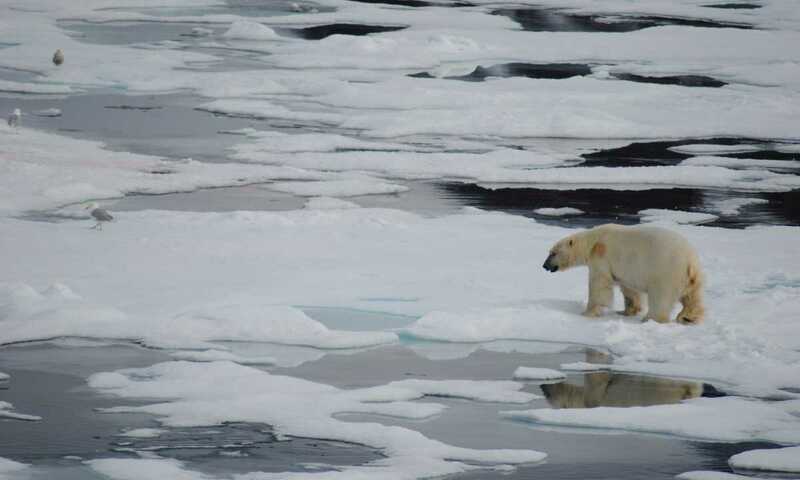 60% of the landmass is covered in ice and less than 10% has any vegetation. Trees are totally absent from Svalbard. Travelling by an ice strengthened ship during the summer months when the ice has broken up allowing safe passage, these 6 - 13 day expedition cruises are the best ways to explore this remote archipelago. Highlights include zodiac cruises, walking the tundra, onboard lectures by Arctic experts and wildlife sightings. Pristine spring snow provides the ideal conditions to explore Spitsbergen beyond the town limits of Longyearbyen. The exhilarating speed of a snowmobile and greater distance you can cover in a day is balanced by the romance, leisurely pace and swish of sled runners when mushing your own dog sled. If you’re hard pushed to choose, then why not try both? Both activities are available as either half, full or multi-day activities. By plane: Separated from its nearest neighbour (north Norway) by nearly 1,000km, flying is the best route for getting to Spitsbergen. In spite of Longyearbyen’s status as the most northerly airport on the planet, there is at least one daily scheduled flight from Oslo, which takes approx. 3 hours. These flights are operated by Scandinavian (SAS) and Norwegian airlines. By Boat: There is no regular boat transportation to Svalbard, however, in early summer (May/June only), it’s possible to travel north across the Arctic Circle and arrive in Spitsbergen on board one of the ice strengthened ships which spend the summer months plying the waters of Svalbard. Founded in the early 1900s by an American, John Munro Longyear, from humble beginnings as a mining town, Longyearbyen has now metamorphosed into an almost year round tourist hub with a modest range of hotels, cafes where you can buy a half decent cappuccino and the world’s northernmost gourmet restaurant. Built on stilts due to the permafrost, as well as being the focus for all visitors to the archipelago, Longyearbyen is also the main administrative post. Everyone visiting Spitsbergen will typically spend at least one night in Longyearbyen. While other parts of the world have a more impressive hotel selection, for the northerly location and modest population of Longyearbyen, there’s good choice and places to suit most budgets. As the name suggests, this isn’t your typical international-style hotel. Set high up the Longyear valley in the Nybyen suburb, this informal hotel has been sensitively modelled around the original barracks which miners moved into after the second world war. The 73 rooms are reasonably priced with a choice of 3 different room types (Liggen, Formannsmessa & Strossa), and the bar & grill is a great place to relax at the end of the day. Ideally positioned right in the heart of Longyearbyen, Basecamp Hotel is as close as the town gets to having a boutique hotel. Quirkily decorated in a rustic trapper style using driftwood, sealskin and slate, it’s one of the few hotels here which nods to Svalbard’s past. The public areas downstairs are cosy and inviting, the 16 en suite bedrooms are comfortable and functional with some family rooms, but aren’t luxury. The Cognac Loft at the top is a great place to hang out in winter looking out for the Northern Lights. Renovated in 2018, the Funken Lodge is one of Longyearbyen's most established lodgings, boasting views of the Lars and Longyear glaciers thanks to its elevated position. Having originally been built in 1947 for employees of Store Norske Spitsbergen Coal Company, the lodge's tangible history also makes for an enjoyable stay. The hotel counts 88 rooms with a handful of suites and superior rooms. The old photographs, pictures, maps and newspaper cuttings in the public areas provide a fascinating link to Longyearbyen’s earlier years, while the Funktionærmessen Restaurant turns out tasty French-inspired food. Longyearbyen’s most comfortable hotel, the Radisson Blu is located on the edge of town and combines panoramic views with comfortable 4* accommodation. There are 95 en suite rooms of which 27 are larger Junior Suites which can accommodate up to four people. Restaurant Nansen offers an á la Carte menu featuring arctic dishes like seal, reindeer, whale and arctic char, while the more informal Barentz Pub & Spiseri is good for steaks, burgers and pizza. Sushi Kita - the world's northernmost sushi restaurant! 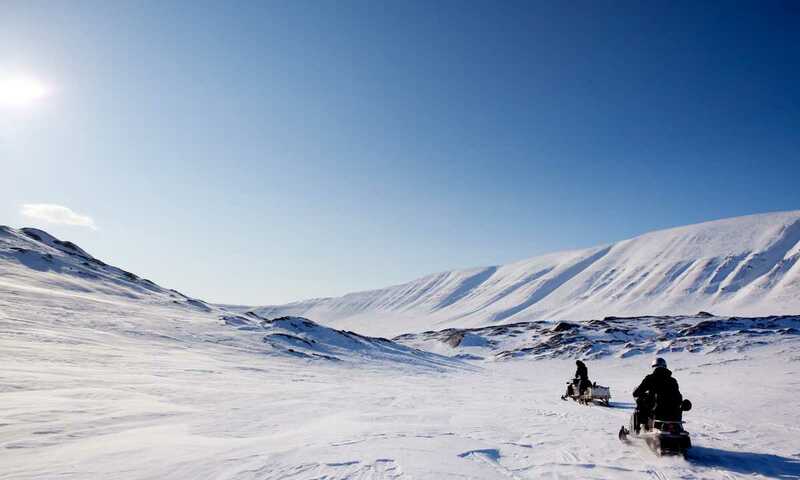 If you’ve never tried dog sledding, Spitsbergen is a really great place to start. Here you get to drive your own 6-dog team, unlike many other parts of the Arctic where you have a ‘driver’. The Norwegian krone is the main currency used. The only flights to Longyearbyen are from Oslo or Tromso in Norway. What language(s) is spoken on Spitsbergen? While Norwegian is the dominant language, in Longyearbyen English is widely spoken.